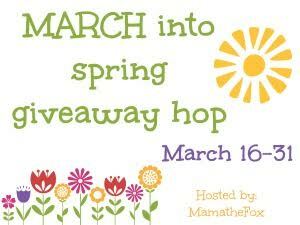 March Into Spring Giveaway Hop! Welcome to the March Into Spring Giveaway Hop! This hop is brought to you by the our host, MamatheFox.com. 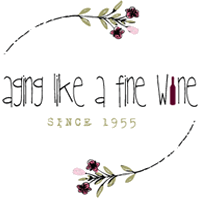 MamatheFox is hosting a giveaway for a $100 Gift Card to Little Adventures! Little Adventures boasts of beautiful dress up costumes for boys and girls. From princess dress, jewelry and accessories to cloaks, swords and masks, they are sure to have something for your adventurous child. Their costumes are machine washable and perfect for daily wear. Read more about these awesome dress up outfits here. 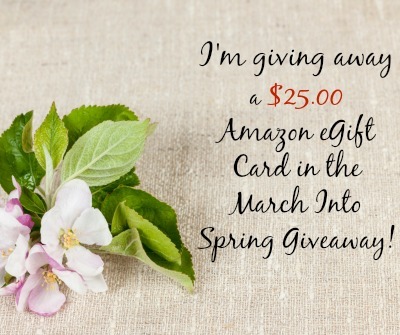 Take a moment now to enter the March Into Spring giveaway here for a $25.00 Amazon eGift card! Then don’t forget to hop around to all of the other blogs listed below! We DO have a few buds now. Things are greener, too. No, absolutely not lol…. its sunny and gorgeous buuuut only 19 degrees out 🙁 Wisconsin life! We may see flowers around the very end of April and the beginning of May! Sorry not right now too cold and snowy. When we were 70 degrees, our daffodils started coming up but no blooms. Then we dropped down to freezing for the high and no more! So sad as I Love the yellow flowers every spring…so cheerful! We don’t have any flowers blooming yet. My bulbs have popped up, but then we just got a big snowstorm. I brought the potted ones inside and the few others I covered with plastic cups to keep them from getting smashed. No idea if it will save them or if they would have been fine regardless. I’m kinda new at the gardening thing. Yes. I live in SC and they have been blooming for about 3 weeks now. No, I’m in NW Ontario. We usually don’t see anything until late May. It is still too cold outside for flowers where I live. There is not anything blooming right now in my area. We don’t have any flowers blooming yet.. we just got a foot of snow. The daffodils are in full bloom and they are so pretty. Not yet, we still have snow on the ground. Yes, we had a few flowers blooming these past few weeks. No we do not have any flowers but we have 3 ft. of snow. No flowers blooming here yet that I have seen. I had daffodils and narcissus but after several days the freeze and snow killed them. I’m just northwest of Atlanta GA & as yet have no flowers blooming. The nectarine tree hasn’t even starting budding out yet & normally it would have before now. Our weather has been a bit wonky, warm one week, cold the next. We are starting to get some pretty flowers blooming. I’m so glad winter is nearly over! We still have a lot of snow here and are expecting more tomorrow,nothing’s really coming up yet due to this. Yes, my Desert Roses have bloomed. I have some confused daffodils. Their stalks are up and a bloom pod popped up but no blooms yet. Thanks goodness because its snowing today. What a weird weather pattern we’ve had recently. Our flowers started blooming in January! With the new government in place, they’ll start blooming in December soon, I guess. My orange tree has been blossoming, and I have a couple of Amaryllis Buds coming up…other than that, the wild mustard & weeds around here are blooming 🙂 We’ve had quite a bit of rain here in San Diego. It is still too chilly outside for flowers to bloom where I live. nothing here in wi. we just had snow dumped on us this past week!! Yes, we have had some daffodils blooming and some wild violets. No flowers blooming yet here. Yes our flowers are starting to bloom. My tulips are coming up. We live in MN so no flowers showing yet. Can’t wait to see some on my walks. We have flowers blooming and pollen everywhere! lol We are planting flowers and working in our flower beds tomorrow! There is nothing blooming here. We just had snow a week ago. My hasta is peeking out of the ground about a half inch though. It’s been a long winter here so I’ve only seen the early crocuses out. Nope – It’s still quite chilly in WI/MN. I haven’t noticed too many flowers yet, but I’m sure they’ll be coming. Flowers in my yard have bloomed. Yes, I live in Florida and we have flowers year-round. Nope. Still getting snow here in Maine. I am so ready for spring weather-though! yesterday it snowed and we got hail. We do have some, then it gets cool again. Yes, some of the cacti in our area are blooming. Unfortunately, here in Northwest NJ, we still have snow on the ground. It will be nice to see the rest of this snow disappear once and for all! LOL I know Winter will come again, but I am more than ready for Spring weather to arrive! No, flowers are not blooming here yet…we are still getting some snowfall. Yes, we have flowers. Mostly because winter failed to show up again this year. Nothing blooming yet however I do see green popping through the ground. Wait a minute. I do have a Lenten Rose! The flowers are slowly but surely blooming here in Washington! The flowers are not blooming yet. No blooming flowers here in Wisconsin just yet.